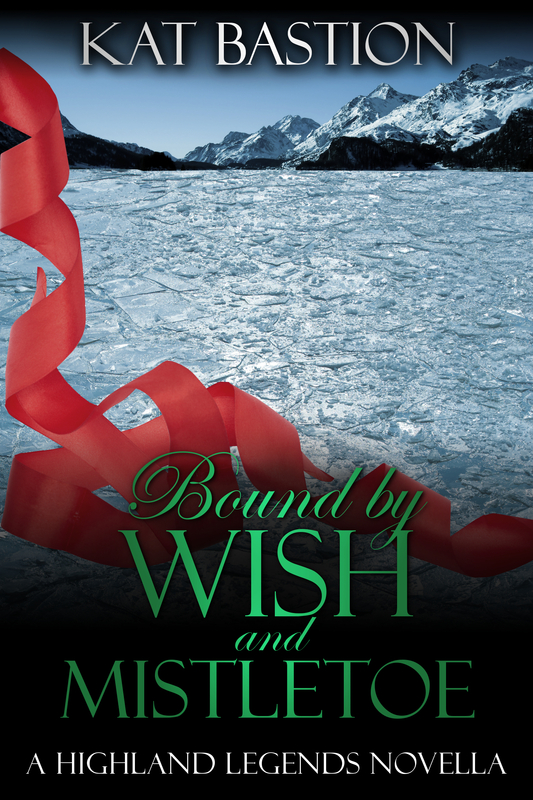 Hi there and welcome to my stop on the Bound by Wish and Mistletoe Blog tour organized by AToMR Book Tours. If you’d like to see the other tour stops click here. Today’s feature is a double review of Kat Bastion’s recent works: adult paranormal romance novella, BOUND BY WISH AND MISTLETOE, and also the preceeding novel–FORGED IN DREAMS AND MAGICK, released in September. Susanna has been promised to a man she doesn’t desire in order to forge an alliance for her abusive, violent father. Unwilling to submit, she escapes. Only to come upon Robert Brodie while on a mission to acquire the perfect Christmas tree for Lady Isobel. Robert is taken by Susanna’s strong will and vulnerability, against his wishes. When her unwanted suitor arrives, Robert and his men fight to save Susanna, only to trap her once again. The inhabitants of Castle Brodie do not leave their enchanted castle often, and Susanna’s hard-fought freedom must be surrendered if she is to remain with Robert. Finally finding a place where she can be happy, she accepts Robert’s offer and love, but all is not settled and her father’s power is not to be forgotten. But what about the book that started it all? What woman wouldn’t want two insatiable lovers in two separate epochs? Isobel may be a modern woman, but she’s not made of stone. When her connection to an ancient artifact tosses her to 13th century Scotland, Isobel does the best thing she can: marries the leader of Clan Brodie, Iain. Super swoony Iain is the whole of her existence…until she encounters that danged artifact again. Tossed back even farther, Isobel must survive with the Picts–and does so by mating the chieftain, Velloc. Interested? 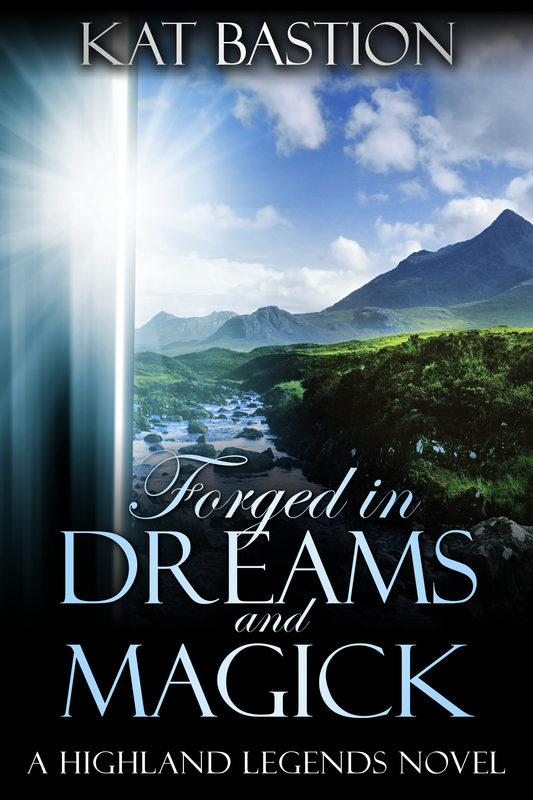 Forged in Dreams and Magick is available via GOODREADS, AMAZON and Barnes & Noble. On a never-ending, wondrous path of self-discovery, Kat throws her characters into incredible situations with the hope that readers join her in learning more about the meaning of life and love. Her first published work, Utterly Loved, was shared with the world to benefit others. All proceeds from Utterly Loved, and a portion of the proceeds of all her other books, support charities who help those lost in this world. Kat lives with her husband amid the beautiful Sonoran Desert of Arizona. Visit her blog, her website, or connect with her on Facebook, Goodreads or Twitter for more information on Kat and her works. Holy cow! Click HERE to enter this STUNNING giveaway. And, as always: Keep reading my friends! Thank you so much for the wonderful reviews, V! I’m beyond thrilled you loved both Bound by Wish and Mistletoe and Forged in Dreams and Magick. I hope your readers do too! I’m glad you enjoyed the books in Highland Legends, V. Thank you for reviewing and participating.